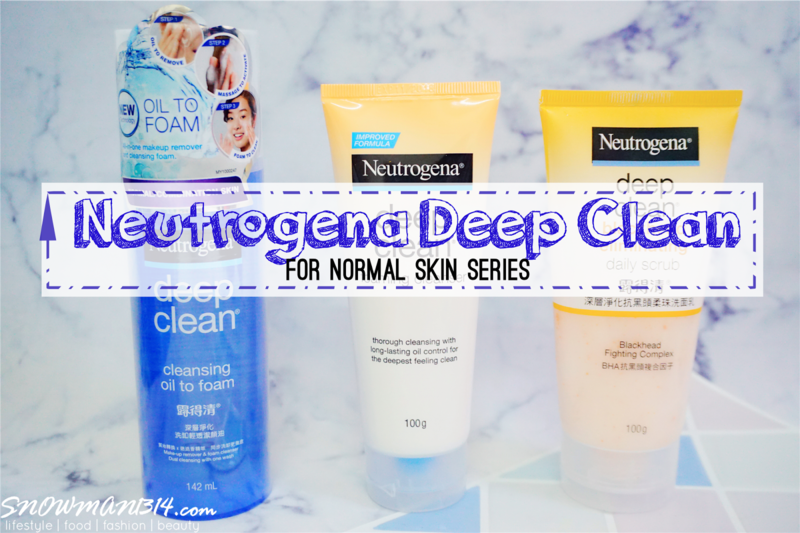 Back to a product review post, today will talk about the 3 steps deep clean skincare set from Neutrogena! What do you determine as deep clean? Do you know the correct steps for deep cleansing your face? I never really bother and even care for the deep clean process until I start to work in my recent company 2 years ago. Usually, after back home, I will proceed with only face cleansing. 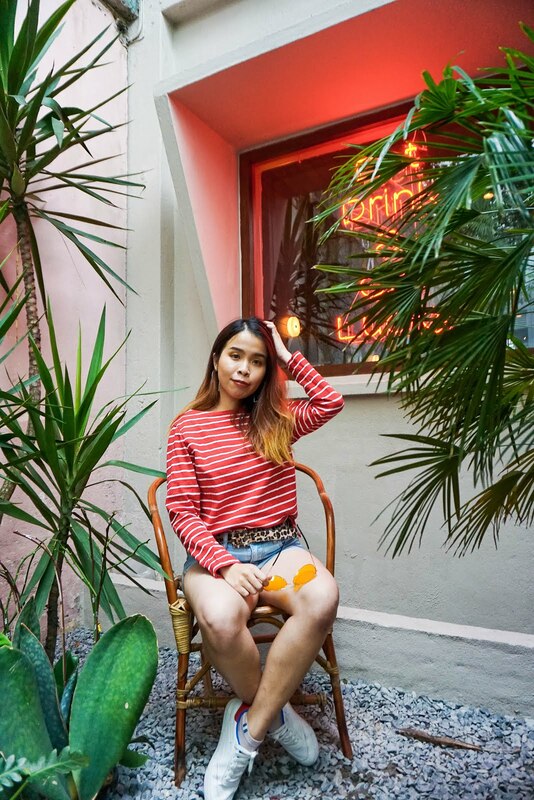 I skip the steps of removing sun block or any dirt and impurities that on our face after spending the whole day outside of the house. It was until then I know how important and the correct way to deep clean our face, I become hardworking take care and cleanse my face daily after I back from home. I am glad that by using Neutrogena, the deep clean process makes it really simple as 1, 2 and 3 too! These 3 products that I'm gonna review today is basically focusing on Normal to Dry Skin Condition. 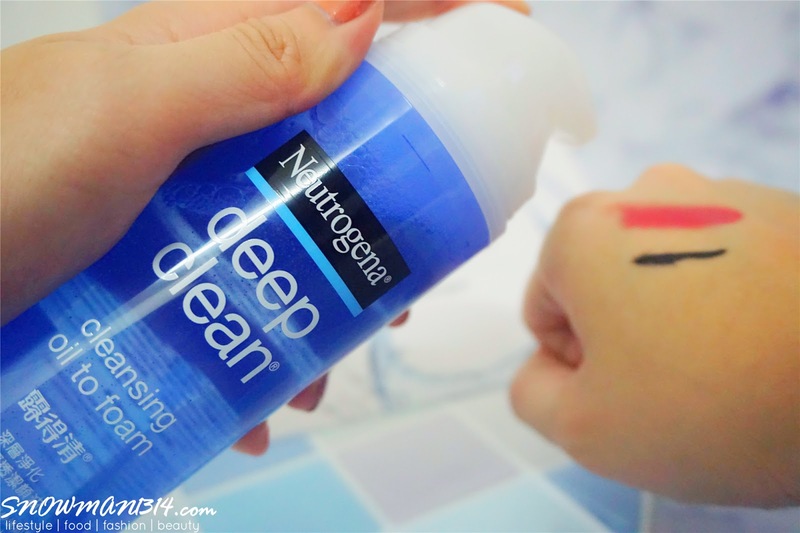 Follow my review to learn how to achieve Happy Skin 24/7 by using Neutrogena Deep Cleanse Set! One of the amazing invents that is this Deep Clean Cleansing Oil To Foam can be used as a makeup remover and cleansing foam too! When I first saw this, I thought that this is just mainly a makeup remover. 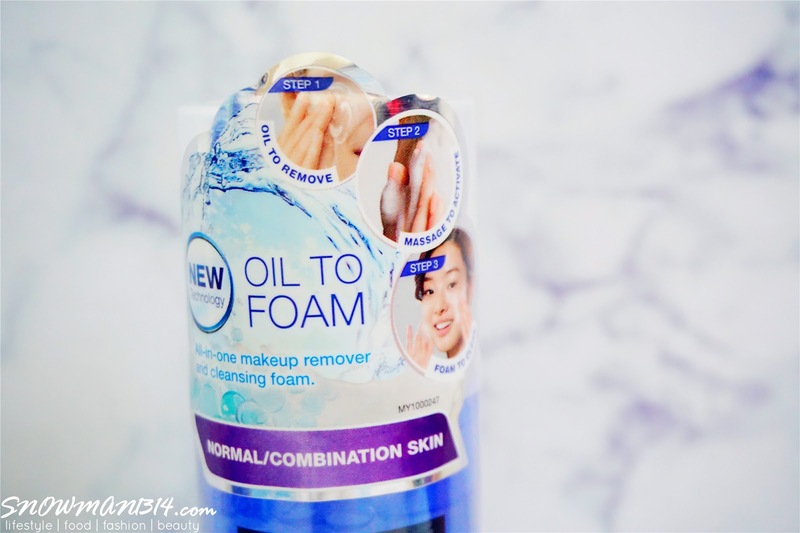 Upon using this, the formula that changes from Cleansing Oil to Foam was actually pretty fun and suitable for lazy people like me to use! 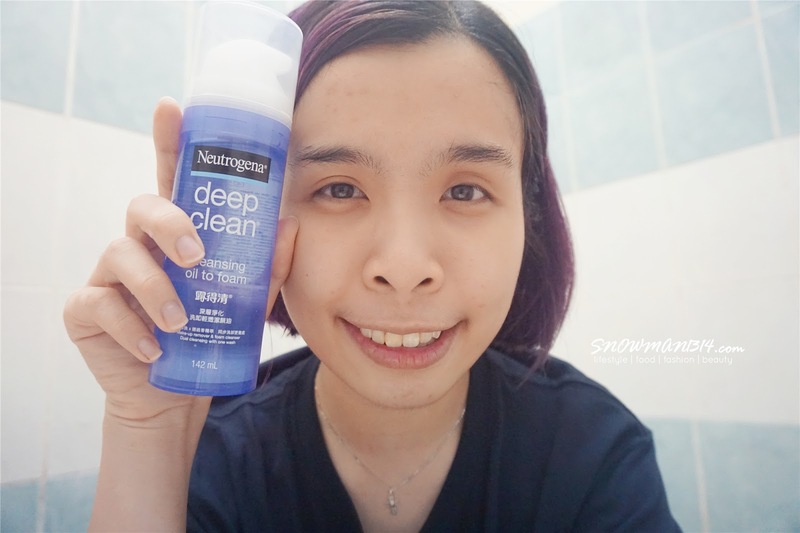 I enjoyed how Neutrogena Deep Clean Cleansing Oil to Foam gives me this dual cleansing experience with just one wash. This is how you should enjoy the effective cleansing power of make-up remover and refreshing cleansing foam at the same time. Always start smart with the first skincare step! Lipstick Stain and Eyeliner on my hand. 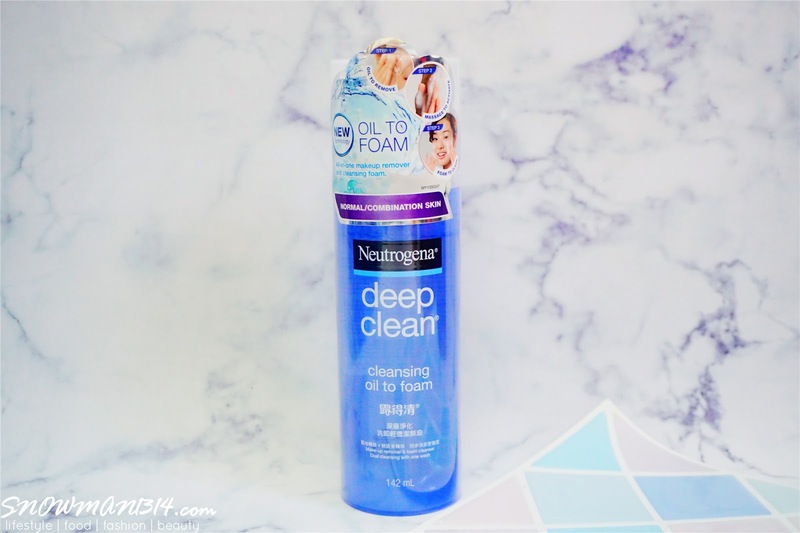 Time to try out this Neutrogena Deep Clean Cleansing Oil To Foam! Bubble foam and texture on the make-up stain. Neutrogena Deep Clean Cleansing Oil To Foam also came in Rosemary extract which help soothes our skin. 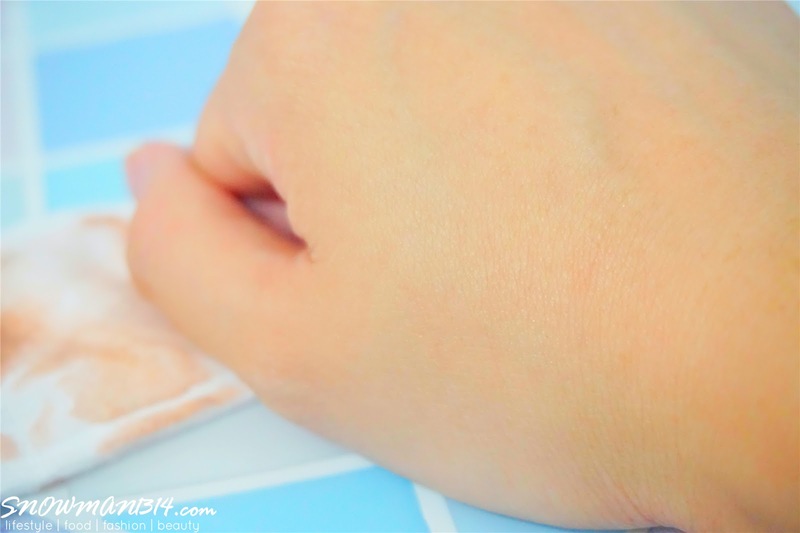 The texture feels super gentle and does not feel sticky or oily at all upon using it on our skin. Gently massage over the make-up stain. Rinse with water. Here's the fresh and smooth skin after the steps of cleansing oil to foam! I rarely scrub and eliminating blackhead daily on my face, I find it some of the scrubs is too strong for my face that I only did one or twice scrub a week. When I first started to use this, the formula of this product is really gentle and soothing to my skin. I really enjoy this blackhead eliminating scrub on my face. I won't even mind to use it daily as one of my deep cleanse routines. 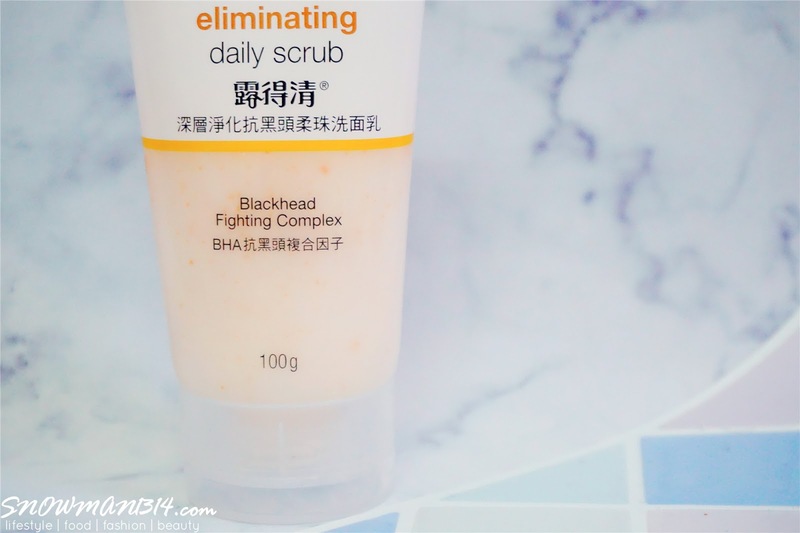 Blackhead Eliminating Daily Scrub doesn't just fight blackheads, it helps eliminate them for clearer, smoother skin. 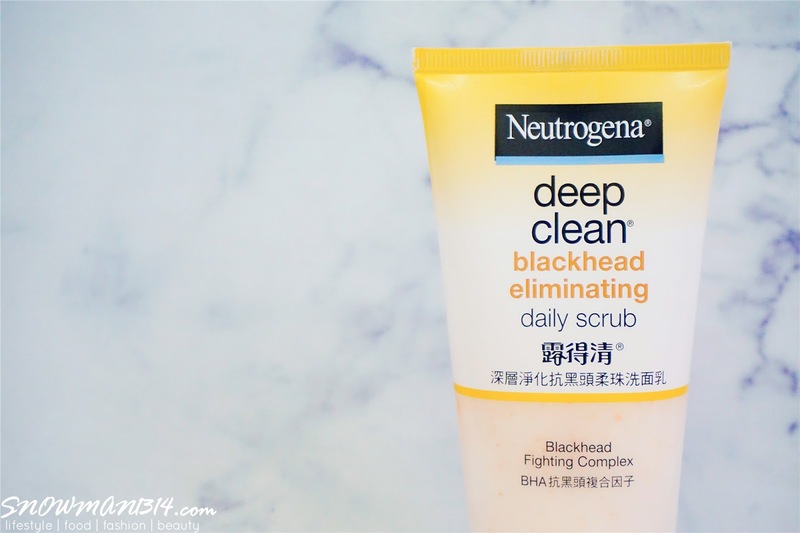 This gentle scrub not only help clear out the blackheads, but it also help prevents the new one from forming. It contains 2% of Salicylic Acid, which helps deeply penetrates to eliminate blackheads by removing stubborn dirt and oil trapped in our pores. I love how gentle, skin-soothing microbeads that help exfoliate dead skins without overdrying our skin surface. Besides with cleansing oil to foam or scrub, we always need to back to basic where using face cleanser twice every day. I always love to use face cleanser where it helps to removes dirt, oil, and impurities on my face. By using Neutrogena Deep Clean® Foaming Cleanser it does give a refreshing and clean aftermath. It does not only removes dirt, oil, and even dead skin cells, it also able to provides long lasting oil control to improve the look and feel of our skin after cleansing. Use twice a day. 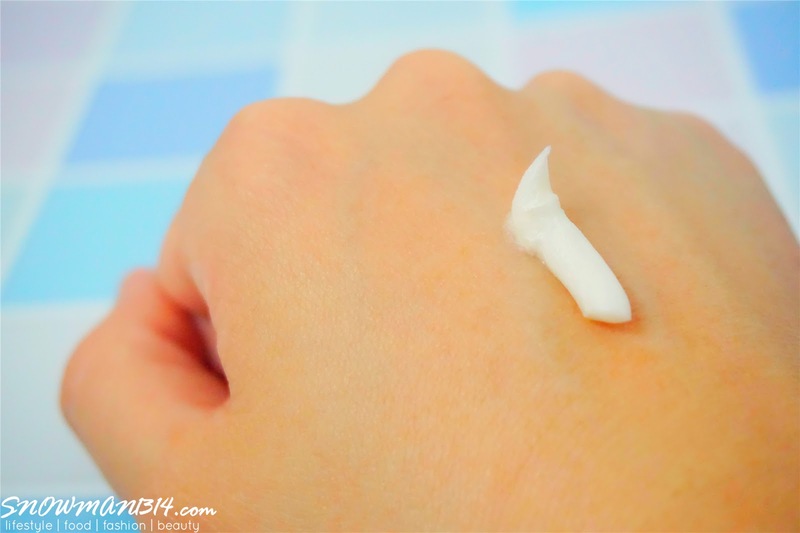 Squeeze a small amount into hands & work into rich lather. Massage onto wet face. Avoid contact with eyes. Rinse thoroughly. 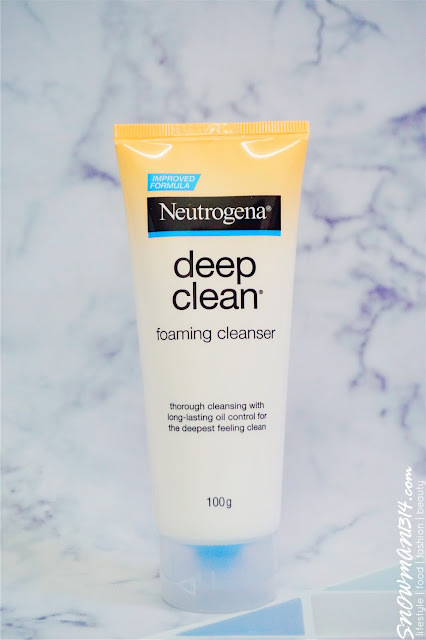 The texture of Neutrogena Deep Clean® Foaming Cleanser. Super rich and creamy texture where it easily creates foams while cleansing our face. Going to use it live on my bare face now. With only concealer and eyebrow on my face now, I will go to the first step of my Deep Cleanse Routine. 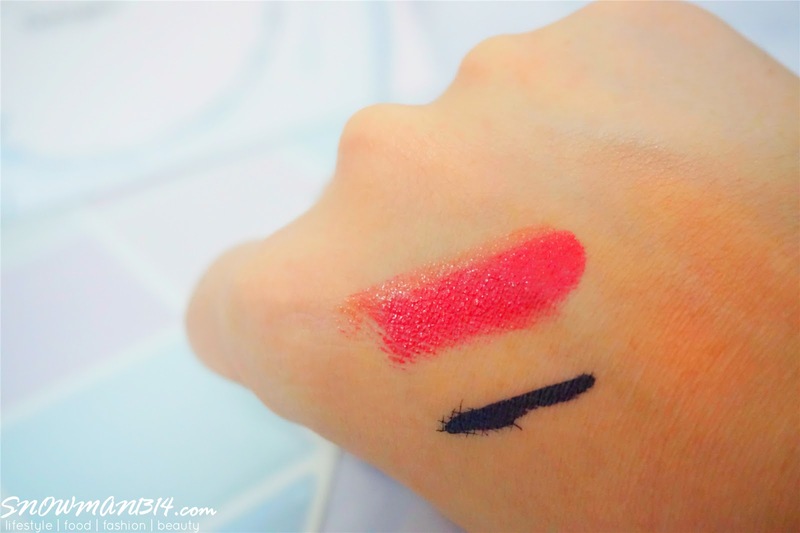 Pump 2-3 pumps on your hand, gently massage the product onto your face to remove the makeup. Next, apply a small amount of water to activate the transformation of the oil into a foamy foam. 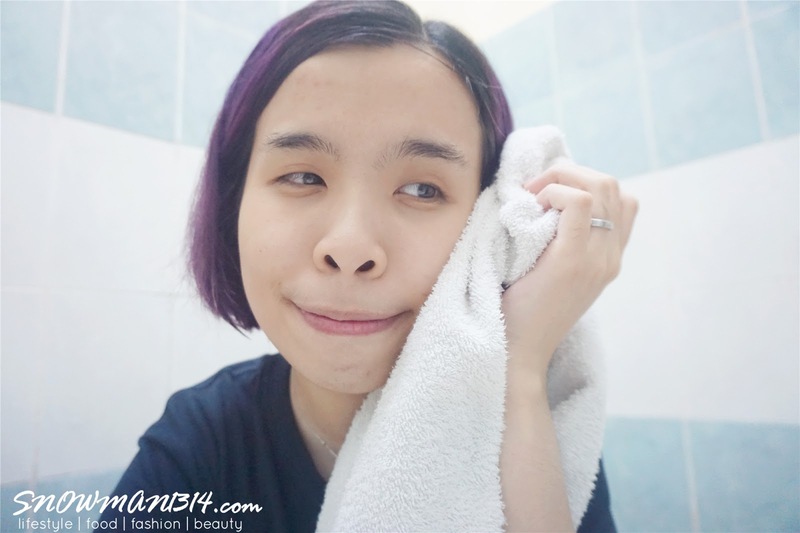 Done finish removing makeup and cleansing my face in just a few steps. 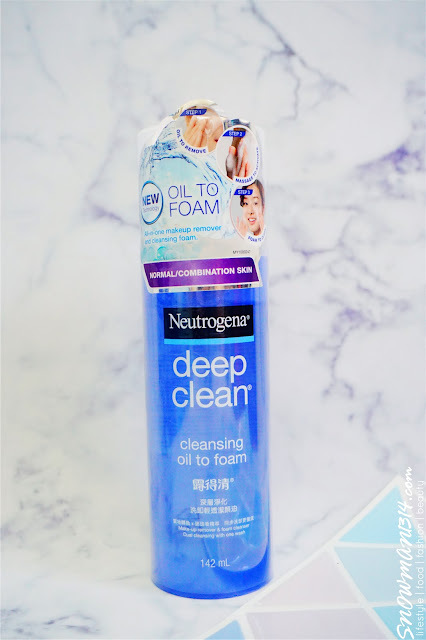 The trick is only by using one product, that is Neutrogena Deep Clean® Foaming Cleanser. Like I had mentioned early, I did not feel greasy and oily at all. 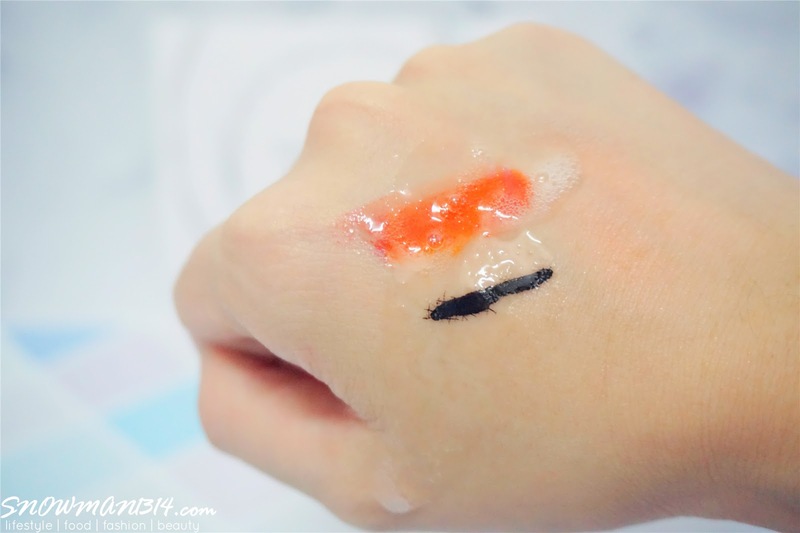 The texture spread easily onto my face and remove my makeup easily. After rinsing, my face feels cooling and refresh too! Check out those micro beads on my hand. After mix with water, gently massage and scrub over your entire face. 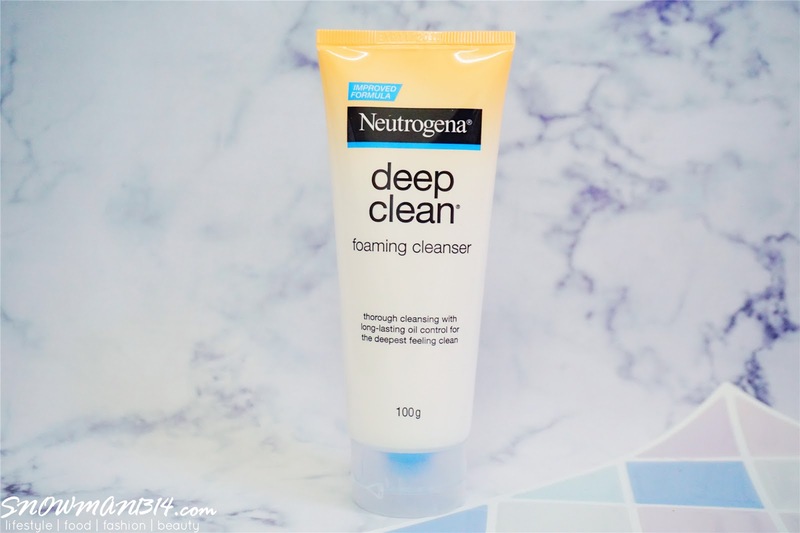 That's all for my basic deep cleanse routine with Neutrogena. I am definitely loving how clean and smooth after deep cleansing + daily scrub on my face. I enjoy all of these cleansing products that are suitable for my skin condition. 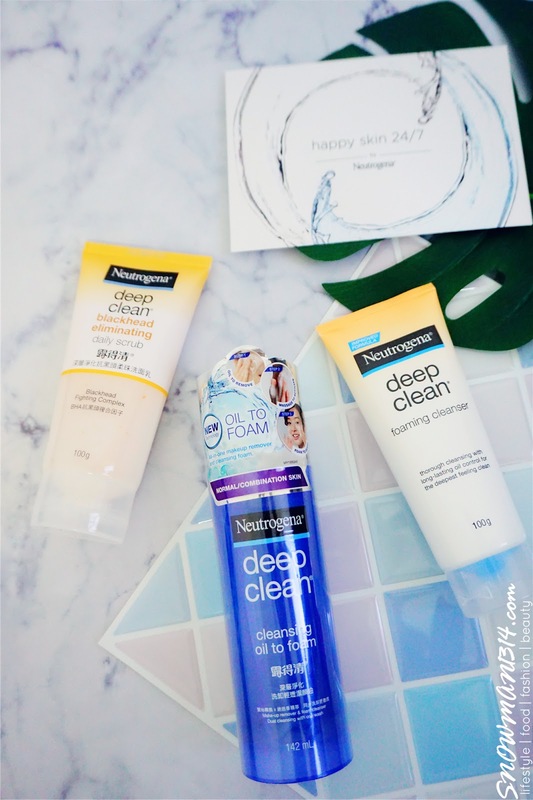 Neutrogena Deep Clean do offer a wide selection of cleansing products that addresses differently base on your skin concerns. 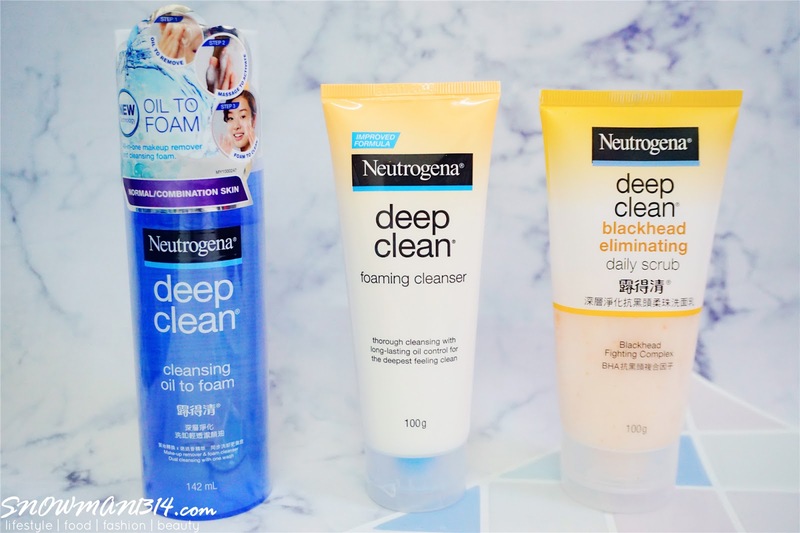 Would love to specially thanks Neutrogena for specially curated this three Deep Clean Products for my skin. It was never difficult to achieve Happy Skin 24 hours daily! Thanks to Neutrogena that I am now able to achieve Happy and Clean Skin 24/7! I can't actually decide which products I love from this set most! 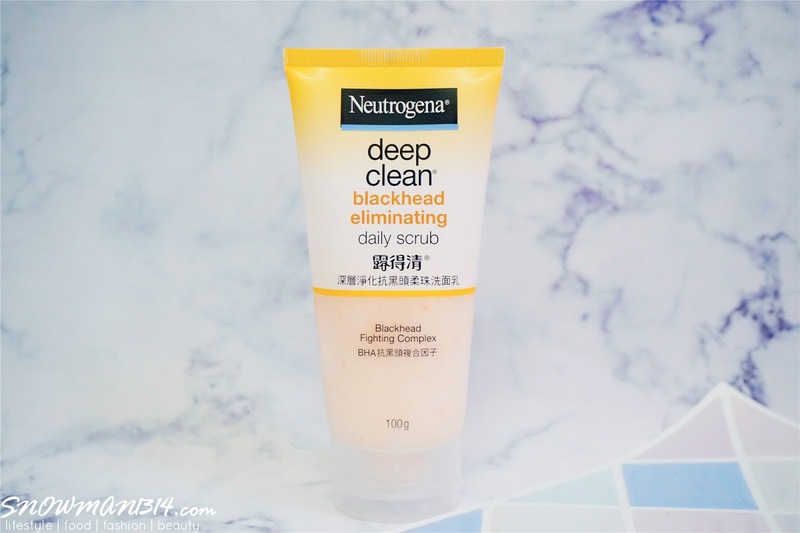 If really need to choose 1 out of 3, I will choose Neutrogena Deep Clean Blackhead eliminating. 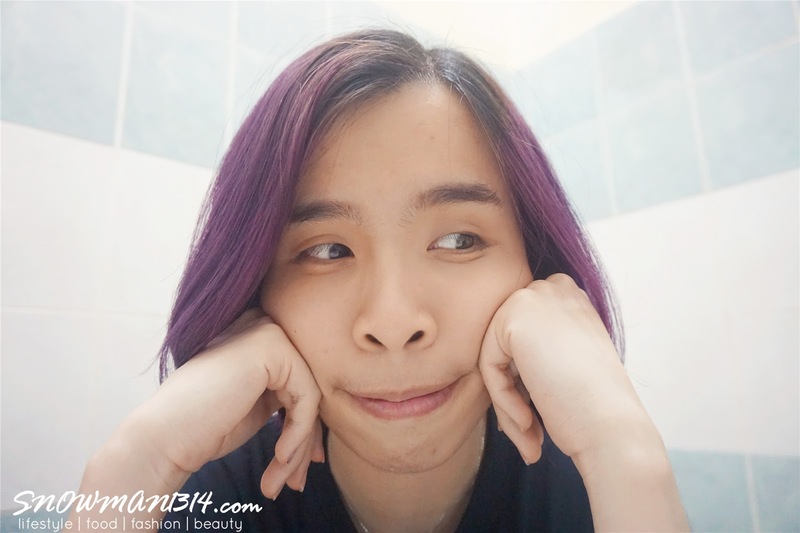 In which I enjoy the texture most on my skin, that is really gentle and soothing to my skin. 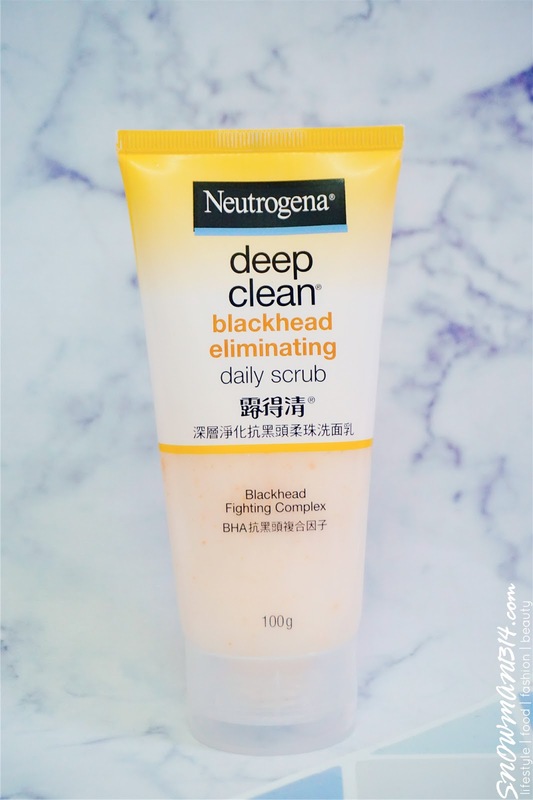 I definitely love to use this as my daily scrub which able to not only eliminating blackheads but also helps exfoliates my skin without leaving it dry too! Although I prefer of using scrub and cleanser separately because I love to keep my face as clean as possible. However using Neutrogena Deep Clean Cleansing Oil To Foam is never been so convenient to use as before too! Just drop a comment below, to let me know what's your thought on all of this 3 products! Think I need to try out this product this clean my skin properly. I bought this... was a huge fan of this product. but after I got pregnant, I dont know why this product not suitable for me anymore . Maybe only pregnancy time.. but still my dad's fav! That's too bad! I think our skin condition changes after pregnant! Been a loyal Neurogena user but never tried the blackhead scrub till now!! Will go and grab a tube this weekend. Can't wait. Love love and super love the scrub. Serious this is good. After reading way too many responses, now I want to buy it pronto! I love their scrub so much, and their cleanser oil to foam are so amazing too! Yes yes! My top 2 favorite! Is 2 in 1 remover and cleanser! Yes!It good skin care products! I like it too! Wow~ Seem like it is a good product. Will check it out soon.